Parking at London City Airport is not a cheap affair but you can chip more off the price tag by booking Butterfly Meet and Greet parking with Holiday Extras. We have chosen this service for its wonderful convenience - just drive into the terminal car park (taking a ticket at the barrier) and meet your Butterfly driver who will transfer your car to their nearby secured car park for the duration of your trip. They will bring your car back on your return date so you can collect it and head home without delay. Once you've arrived at London City airport, drive to the on-site car park (formerly known as Long Stay). At the car park, you'll come to a barrier, where you'll need to take a ticket to get in. Then, drive through and park your car in a space. A uniformed Butterfly driver will meet you and you'll need to give them your keys and the ticket from the barrier. After youve landed in the UK, call Butterfly to let them know youre back. Then, pick up your luggage and walk to the on-site car park again where you'll be met by a Butterfly driver with your car. You'll need to arrive as close to your booked time as possible. In extreme cases, if you're more than 20 minutes late, you may be charged a £30 waiting fee. Its important that you call Butterfly 20 minutes before you arrive at the airport to avoid any unnecessary charges. On your return youll be required to pay an exit fee to leave the car park. If your car leaves within 10 minutes of it arriving at the car park the fee is £3.20. If your car leaves within 29 minutes of arriving at the car park, youll be required to pay an exit fee of £7.50. Staff were good although difficult to understand on the telephone, service was quick and on time. Efficient, friendly, helpful and professional. A fantastic service. Thank you! Everything was as described, however we were not aware that we would need to pay an extra fee to get the car out of the car park on our return. This should be made more clear! Easy, fast, efficient, great value. Recommended. 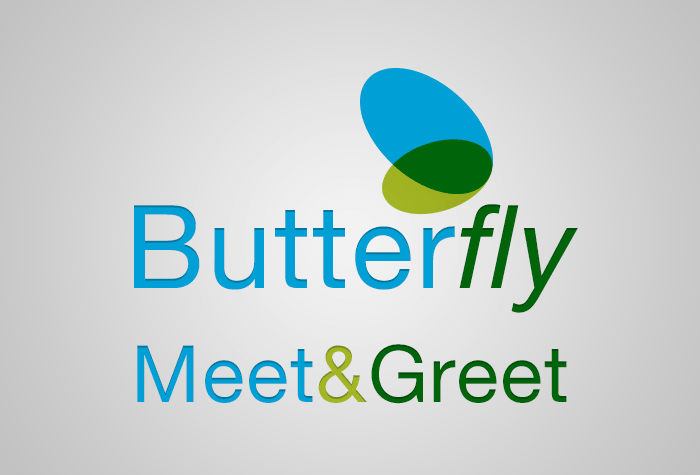 Our customers rated Butterfly Meet And Greet on average 9/10 (182 reviews). Read Butterfly Meet And Greet reviews.